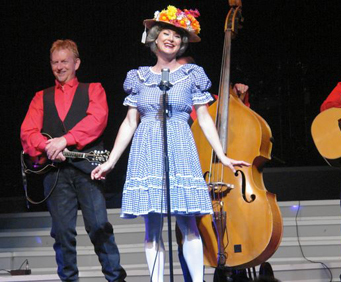 Dalena Ditto Country Variety Show is no longer playing in Branson. It is unknown if she will return. 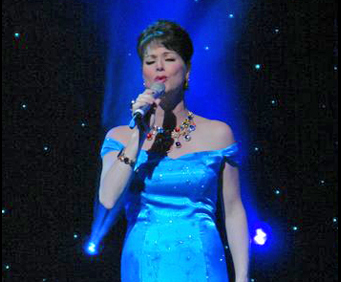 Dalena Ditto has performed her own heartfelt blend of comedy and music throughout the world. She has shared the stage with the best of the best in the industry, including Willie Nelson, Faith Hill, George Jones, Brian White, and many more. 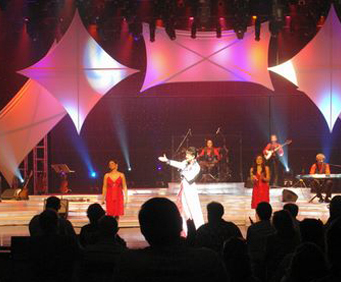 Ditto's warm, gentle personality and amazing talent provide audiences in Branson, Missouri with a delightful show full of energy and fun. See elegant costumes, smooth harmonies, and wonderful showmanship from the crew of the Dalena Ditto Country Variety Show. The show itself is a hodgepodge of fun, with her cast of "legendary greats" providing the entertainment. You'll get to see impersonations of Wonder Woman, Carol Burnett, Lucille Ball, George Burns, Justin Beiber, Jerry Lee Lewis, Phyllis Diller, and Branson superstar Andy Williams. Come see all that this variety show has to offer and you won't be disappointed! So get started on your vacation today and book the Delana Ditto Country Variety Show! She was very good. Enjoyable show.